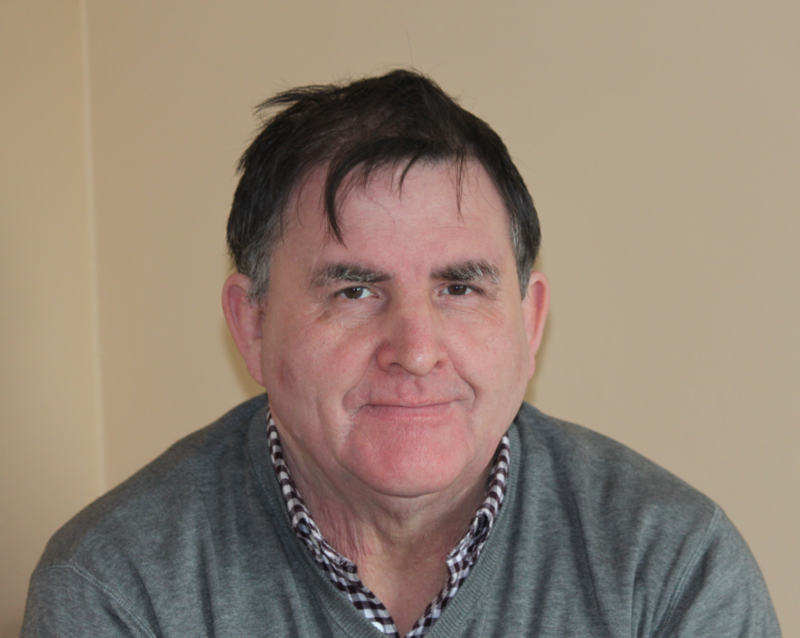 Eamonn is originally from Burtonport Co. Donegal and has worked in Ionad an Chrois Bhealaigh Árainn Mhór since 2016. 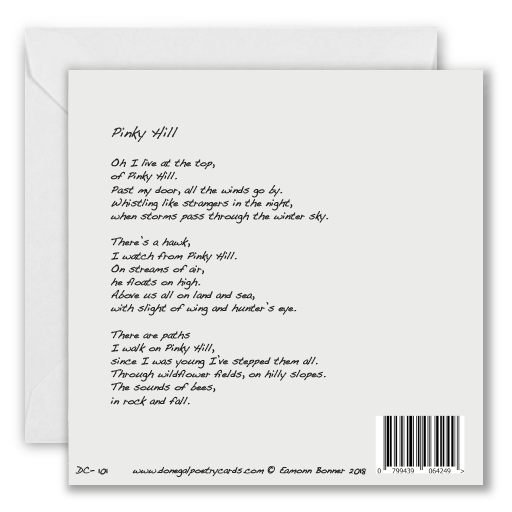 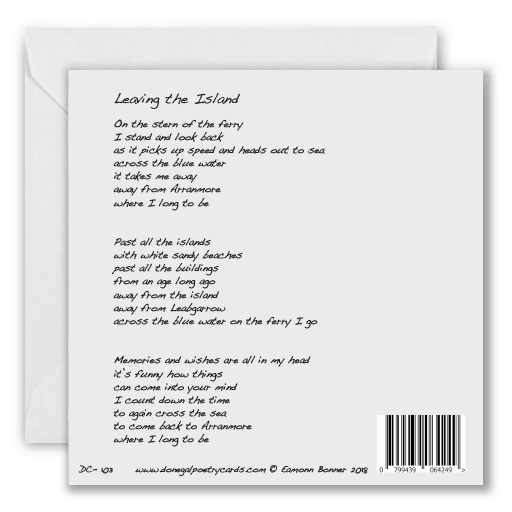 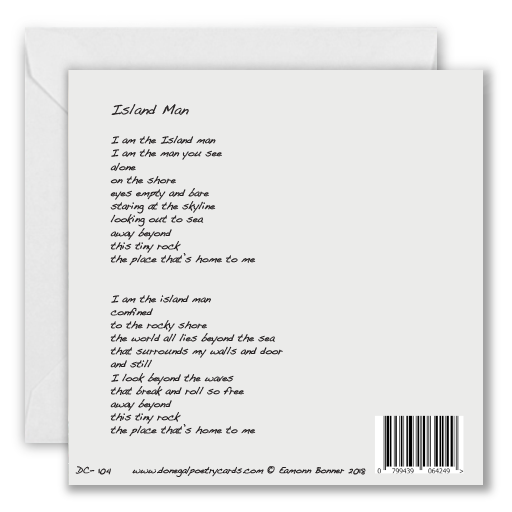 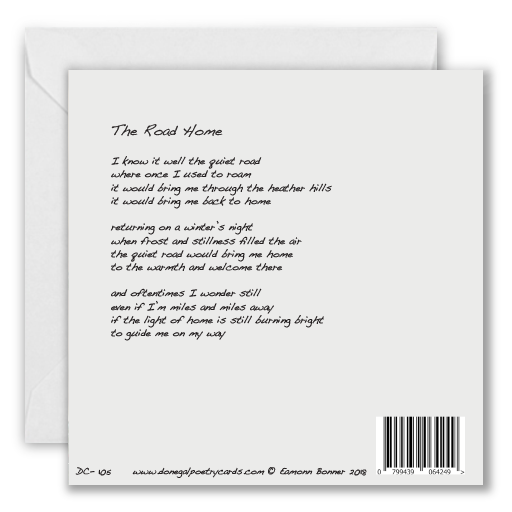 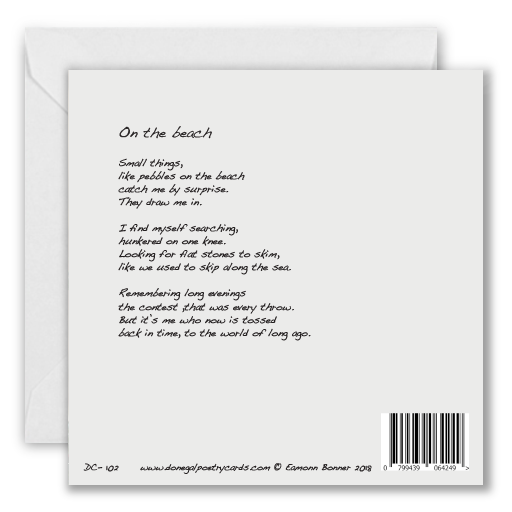 He writes childrens and adult fiction and has won national poetry competitions. 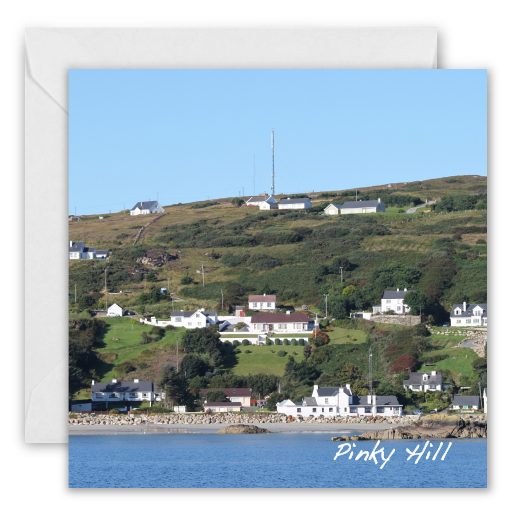 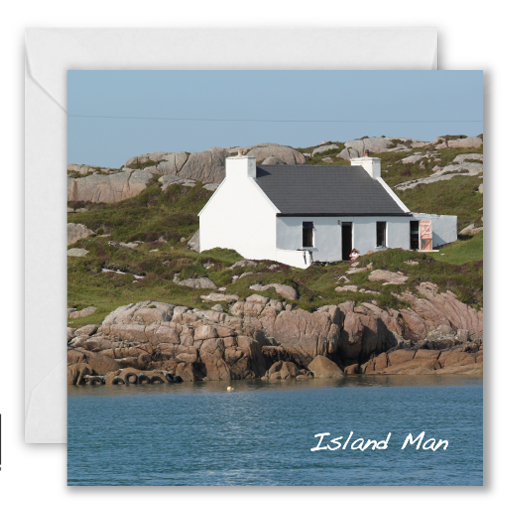 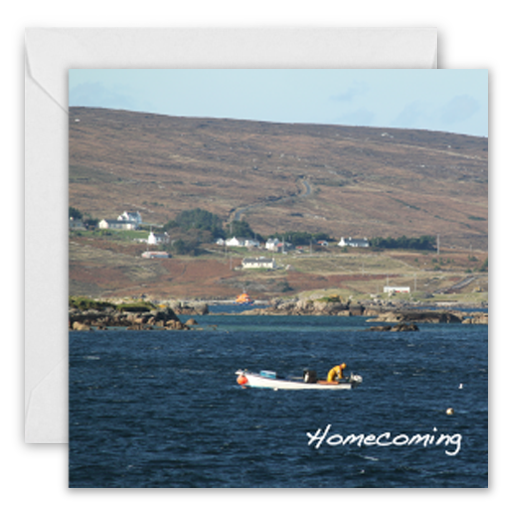 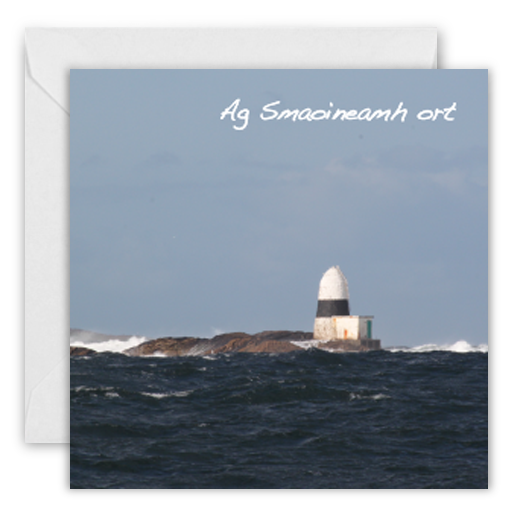 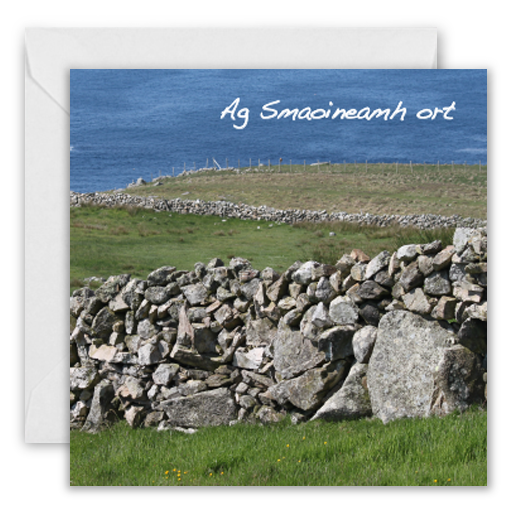 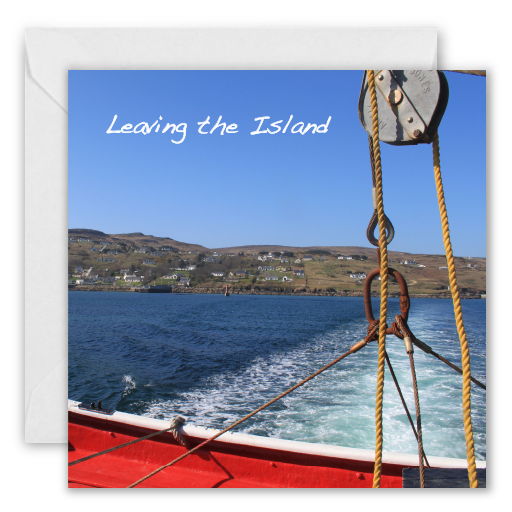 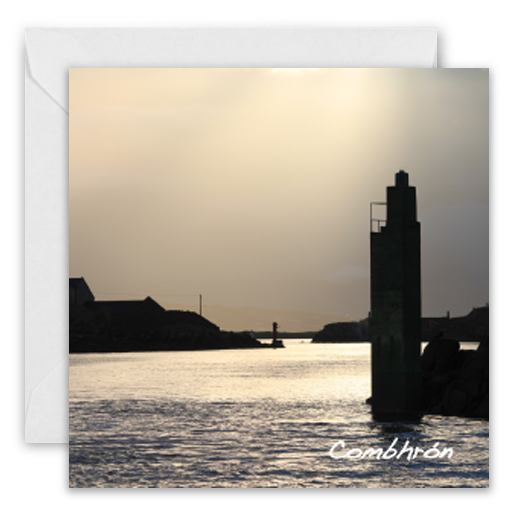 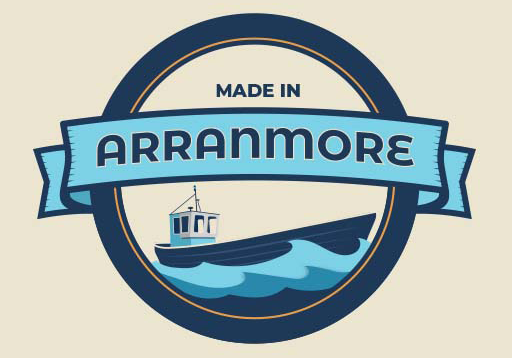 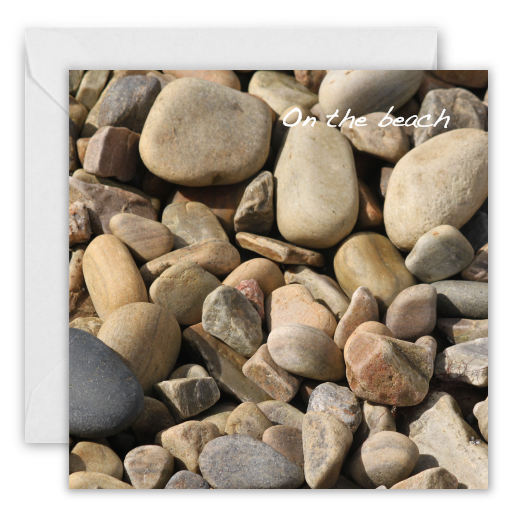 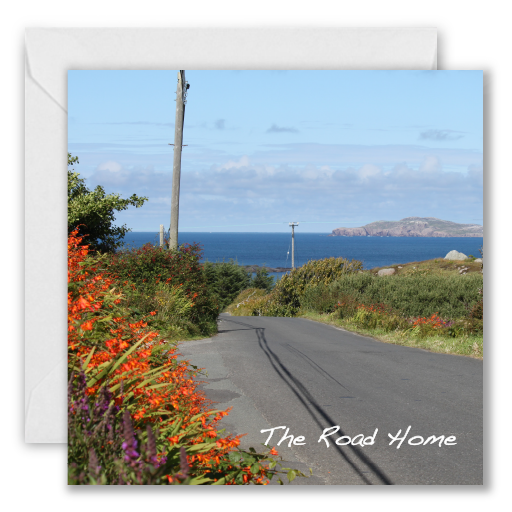 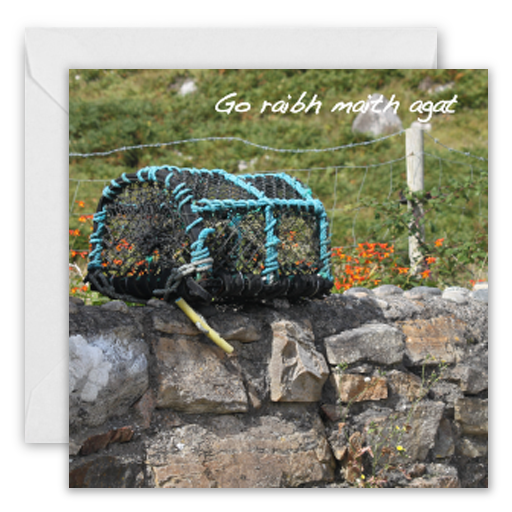 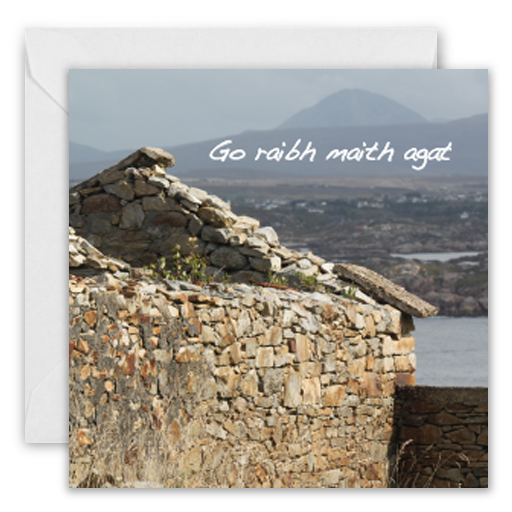 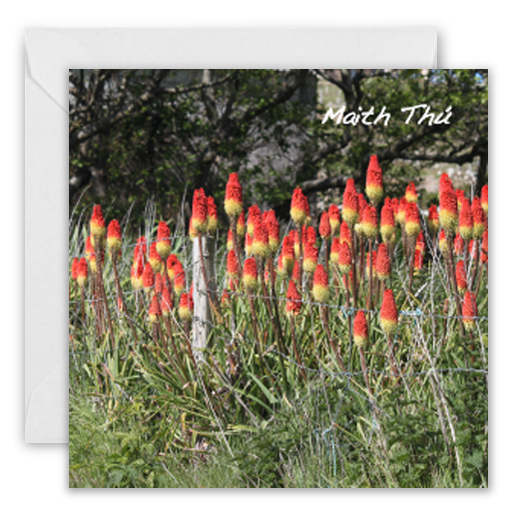 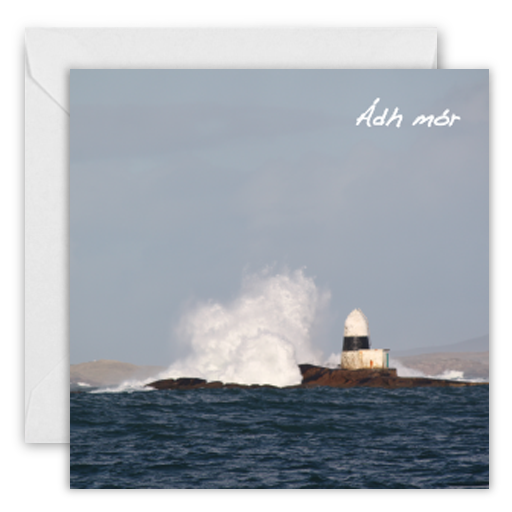 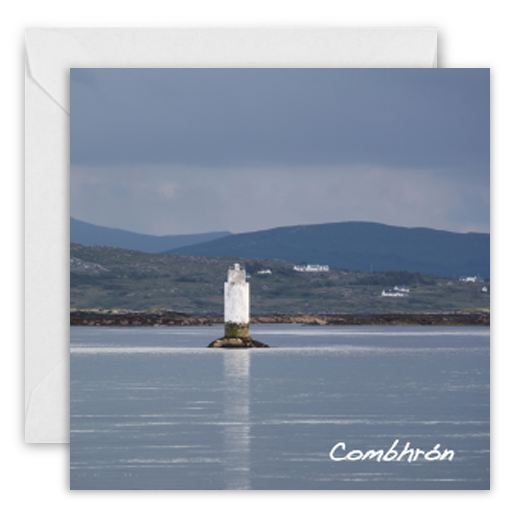 Eamonn combines his hobby of photography and writing to create greteting cards with local themes. 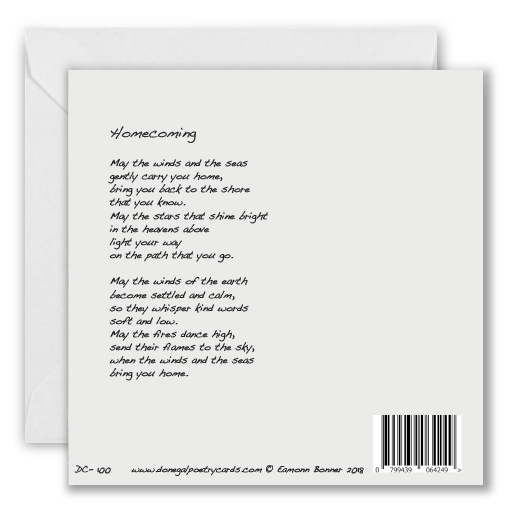 English translation: Thinking of you. 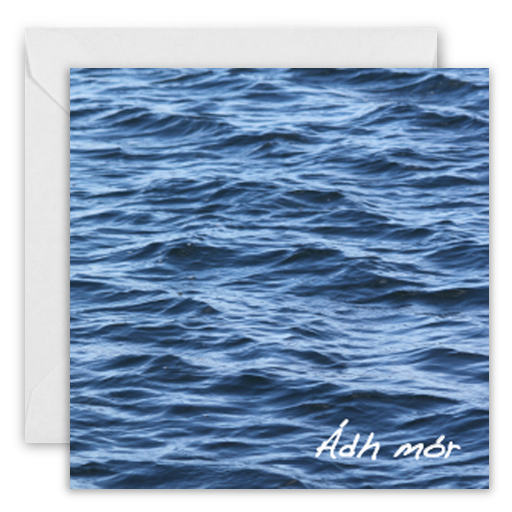 Including white envelope and cello wrap.